Fremantle: Western Australia’s Arts & Culture HubThe historic town of Fremantle acts as a patron of the arts. There are numerous outlets for locals to explore their talents, from the heavy-packed festival calendar to displays of public art set across the city centre, to which you can even contribute. Visitors can soak up the atmosphere by attending free concerts at the Fremantle Arts Centre, joining art classes or simply viewing a plethora of exhibits during their stay. Aboriginal art has not been forgotten: visitors can find out about the area’s First People and their artistic traditions at the Walyalup Aboriginal Cultural Centre. If you need a break from the arts, Fremantle’s white sand beaches beckon. Fremantle holiday rentals range from modern lofts close to the water to Victorian-era homes in the city’s heritage neighborhoods. Fremantle Arts & CultureGet to know the scene by visiting the Fremantle Arts Centre. While the centre showcases contemporary Australian talent and emerging international artists, the focus remains on artists from the the area. People of all age groups can also sign up for arts classes or attend free concerts.If you’d like to find out more about Aboriginal art, head to the Walyalup Aboriginal Cultural Centre. Take a course or join a workshop to create traditional art and discover Indigenous artists. Try your hand at jewelry making, mosaics, painting or even learning the language. Throughout Fremantle, displays of public art have been set up. There are around 50 pieces in the town’s green spaces and sidewalks. If you’d like to add your contribution, there’s even a mural art program open to the public. Festivals & Events in FremantleThroughout the year, Fremantle’s streets come alive with festivals and events. If you’re visiting over Easter, you can catch the Street Arts Festival. Watch street performers of all kinds, from musicians to circus acts and even poets and mines, congregate in Fremantle from across the planet. Each Thursday in July, Fremantle plays host to the Hidden Treasures Winter Music Series, where you can watch musical acts of all sorts who care about or are from Fremantle. Celebrate the city during 10 days of events at the Fremantle Festival, or delve into history at the Heritage Festival in May, where you can participate in walking tours of the city and a variety of workshops as well as cheer on performances.Beaches in FremantleFremantle’s position on the Indian Ocean means that the city has access to an expansive waterfront. 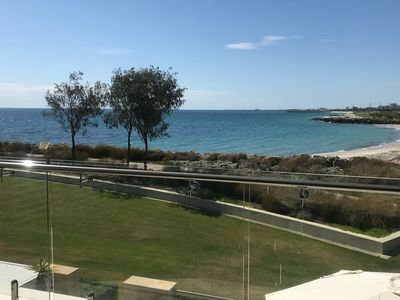 South Beach is set within easy reach of Fremantle’s CBD. This is a safe swimming beach, ideal for families. Sunbathe with views of coastal islands or order coffee and snacks from the cafe as the kids splash around. Port Beach is the most popular in the area, with an array of watersports for visitors. This is a prime snorkeling spot, and you will often see wind and kite surfers practicing their craft. If white sand and sunset views are your thing, head to Leighton Beach, bordered by a wide grassy foreshore. Most of Fremantle’s beaches have cafes or food kiosks, so you won’t go hungry if you forget to bring snacks.Living Fremantle HistoryAs you walk around Fremantle, you will see numerous heritage buildings, taking you back to the city’s colonial past. You can visit the Round House, the oldest building in the state, which was once a gaol turned whaler station. The gaol is set in Fremantle’s historic West End neighborhood, which still features numerous Victorian and late Georgian homes. Then, there’s the Fremantle Prison, which was still in use until 1991, when it was listed as a World Heritage site. For a long time, Fremantle Prison was one of the most infamous in the British Empire. Today, you can go for a guided tour of the facilities. Travelers can also spend some time at the Fremantle Markets, which have been selling a wide range of goods since 1897. There are 150+ stalls, and activities and workshops for the whole family. To learn more about the market’s history, join a history tour. Getting to FremantleFremantle is a short, half-hour drive from Perth, the perfect distance away from the city for a weekend break. Public transport options abound; visitors can take a train from Perth’s CBD or hop aboard a ferry to reach their final destination. There are also buses to connect both cities.